I am seriously in love with all the trends at the moment. All the neons, and the pastels are all shouting out to me, and leaving me imaginatively broke. If I could spend all of a years worth of clothes money, it'd be on this season because it's so me. I'm simply adoring the shapes, colours and fabrics this season especially the midi skirts, co-ords and pretty crops in neons, pastels, and white. Fashion Union have these trends down to a tee and I'm adoring their entire range. Even their monochrome and I'm not a huge lover of black clothing! I can't help but want it all. I already have an eye on my definite payday treat which is this Melda Dolphin Co-Ordinating Top and Skirt! Both trends are carry some lovely pieces that hint a 60's vibe with a modern twist. Aith midi length circle skirts and gingham prints, I'm in love with it all as well as a 90's neckline making it's way into a couple of the pieces. I'm also adoring the dress and trainers look too, and reminds me of the years I was obsessed with tennis dresses and only wore Reebok trainers back in the 90's! 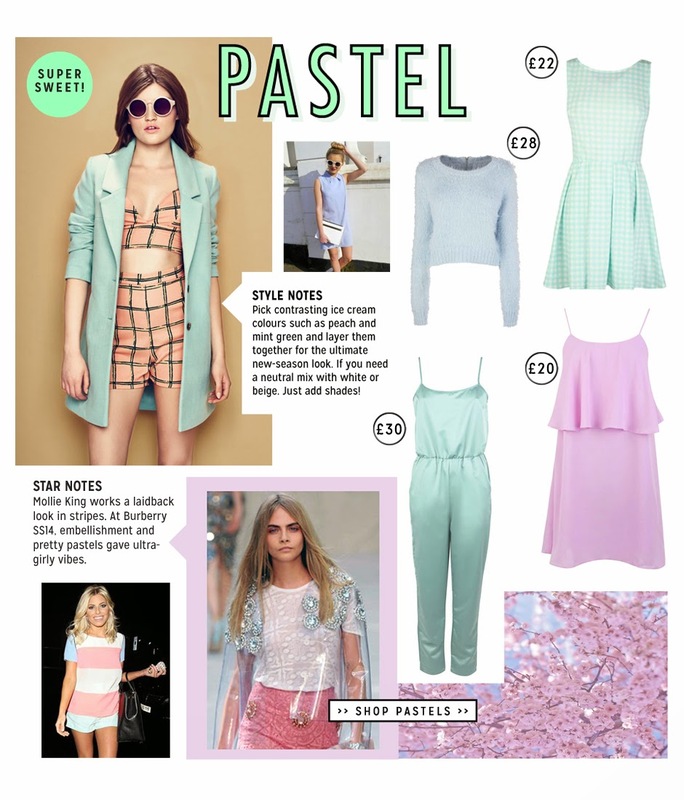 Those pastels are just my absolute idea of a perfect wardrobe and I'd probably do anything to have it all. I'm head over heals for all the mint, lilac and whites as well as my all time favourite pink, and all in cute florals, colour blocks and gingham, with flattering shapes and feminine fabrics. I'm really looking into getting this beautiful Mint Satin Jumpsuit for any weddings or evenings out I may have this summer, or this Floral Pastel Skater Dress for day time outings or Sundays to feel pretty. 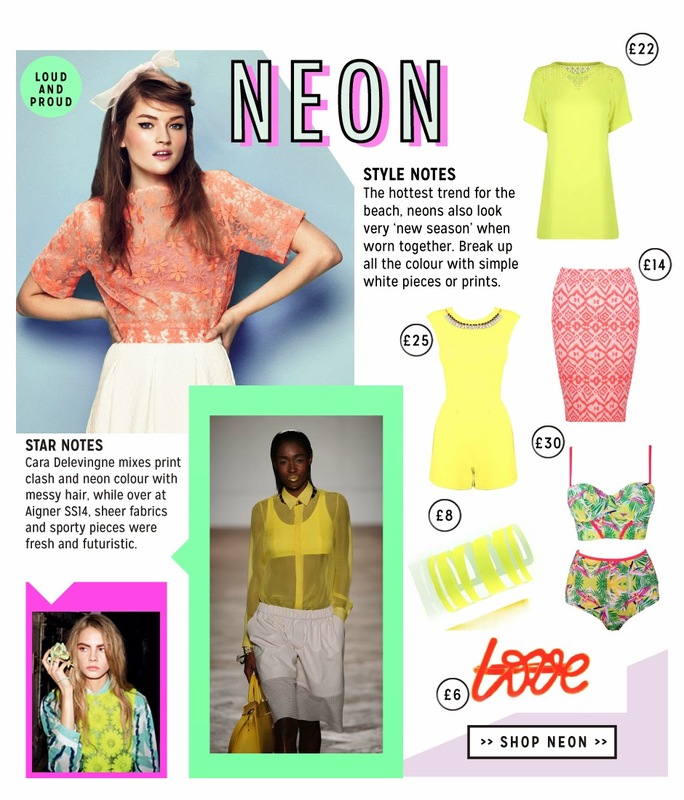 I've never been a huge fan of neon but this year I want to be out there braving the neon! They've created some brilliant neon pieces: simple dresses in outstanding colours as well as floral or aztec prints with pops of neon colour like you couldn't believe. It works when pairing them up with simple white or black pieces to break it up, and not make it so 'in your face' as you'd think. I'm lusting this Neon Floral Printed Shift Dress, I just love the print and T-Shirt style dresses is one of my new favourite shapes I didn't know I loved! What I love even more about the trends in Fashion Union is that it is really affordable and you can probably get a little bit more for your money! I wouldn't normally think of buying coordinates but I'm definitely going to be on the bandwagon grabbing a two piece for just £40! Oh I'm dying with all this trend love right now. What's your favourite trend this Spring/Summer?